Though flowers are perfect for any occasion, they can be the most fitting tribute to someone who has passed. Flowers can be the last nice thing you can do for someone when they leave us, so we take our job very seriously when designing our bespoke floral tributes. Our funeral flowers can also be made completely biodegradable for natural funerals, using seasonal flowers and foliage. For a very personal tribute, we can even incorporate flowers from a loved one’s garden. 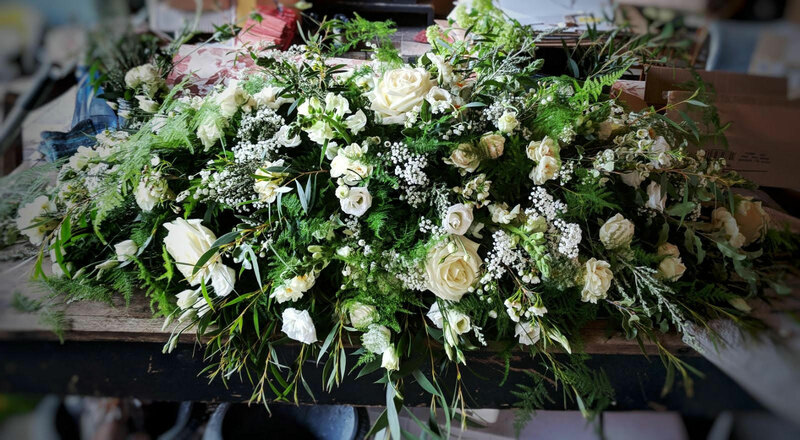 If you are interested in a floral arrangement to express your sympathy to a loved one, or would like to inquire about funeral flowers, get in touch.